Bring ingredients to boil in saucepan; cover. Simmer on medium-low heat 30 to 45 min. or until vegetables are tender. Blend soup, in small batches, in blender until smooth. 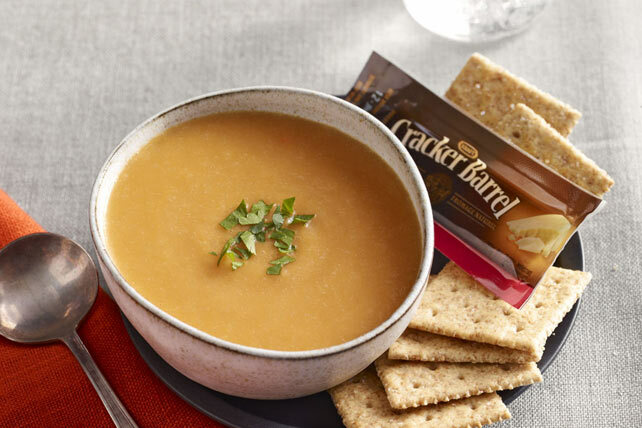 Serve with Cracker Barrel Old White Cheddar Cheese Snacks and Premium Plus Whole Wheat Crackers. Season with fresh lemon juice to taste and/or garnish with chopped fresh cilantro just before serving.